Many people will want to find a small loan to get them through a tough financial situation without putting their assets up as collateral. That’s called an unsecured loan. An unsecured loan means that no collateral is required. So, non of your assets come into play, like a home or car. The drill at most institutions is quite similar, but of course, there can be variables. For example, some lending institutions may want your credit score. If your score is less than 600, you might be subject to higher interest rates. 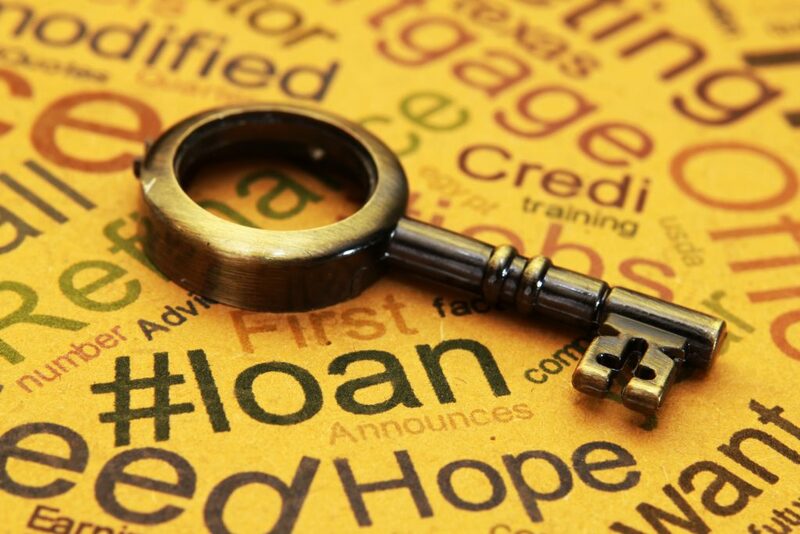 These days, you can apply for an unsecured loan online. Generally, unsecured loans come without a lot of paperwork. If your financial situation is not too challenged, you may even qualify for an unsecured line of credit, but, at the end of the day, it’s like having another credit card. If you fail to make payments or go into default, then collectors will start coming after you relentlessly. The next wave is legal action. If it gets to court and the plaintiff wins, then you will be liable for not only the loan amount plus interest, but also the legal costs. It will also impact your credit score, usually 30 days after you go into default. Unsecured loans require no collateral. The amount you borrow will be impacted by the value of the asset you provide as collateral. Collateral can be a vehicle, investments, insurance policies, equipment and machinery, collectibles and home. If you’re a business, then any money owed to you (receivables) can also be consider. The loans to value ratio will vary. Some assets, such as investments, may only get you 50 percent of the value. If you have a home, that number may jump up to 80 percent. Lending institutions also look at your debt to income ratio. If it’s higher than 36 percent, you might be declined. Do not make the mistake of hiding debts in you application. Chances are, the lender will find out and hiding those facts is similar to fraud. In some cases, your lender may recommend a home equity line of credit. As long as you pay the interest on the credit line, you’re in good standing, but if you are not disciplined, then you may take a much longer time to pay down your personal loan. The value of assets used to secure a loan will always be less than the total asset value. These are loans specifically to address multiple debts. Essentially, it takes various debts like student loans and credit card debts, puts them together, and provides you with one monthly installment payment. The hole many people tend to fall into once they have this kind of loan is to continue racking up debt. If you plan to consolidate your debt, hide your cards. Better yet, destroys most of them, keeping one that can be used in emergencies or when you travel. If you have student loans, be aware that there are grants and aids available through the Canadian Government, such as Canada Student Grants. There are grants and aids available through the Canadian Government to help with outstanding student loans. Canada Student Grants. A quick note about interest rates. Shop around. It’s understandable that going through the process to get a loan can be stressful, but a better interest rate can save you a lot of money. 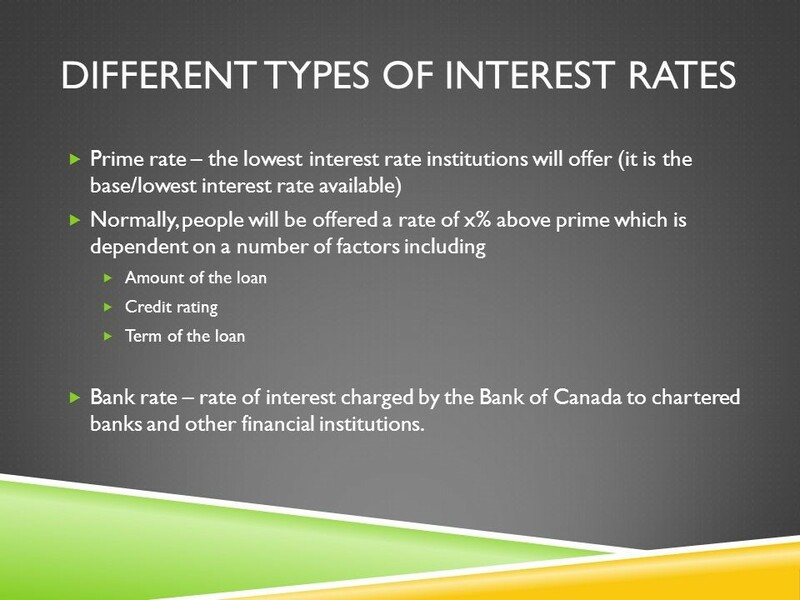 To see the different interest rates, check out this rate table available through the Financial Post. If you are shopping for a mortgage, a mortgage broker may be your best solution. Of course, if your credit rating is challenged, then your best is to work with an institution where the people know you on some level, but be prepared for a higher interest rate to be put on the table. Maintaining payments and repaying a loan are always good for your credit rating. If you are young and starting out, take out a small loan to start building your credit. Educate yourself and establish your credit behavior early in your life. That’s advice you can….well…take to the bank.